SAIS Southern Cairngorms Blog » Wet! Woke up to some pretty heavy rain this morning…….and suddenly remembered that there were lots of admin. tasks that needed doing before I could head out! Despite the seriously poor visibility it was apparent that a lot of superficial cover had been washed away in the heavy early morning rainfall. Hillsides and paths were running with water and the snow at lower levels can only be described as slop. There are some deeper drifts present that still contain drier snow as the photo below shows but stability is generally good. However surface layers are wet and heavy and any overhanging snow is tending to succumb to the laws of gravity. Photo opportunities were limited today as visibility was extremely poor with the cloud base lowering into the glen so there are a few ‘random’ photos in today’s selection. It will be drier tomorrow but it still doesn’t look like we are going to get much of a view. 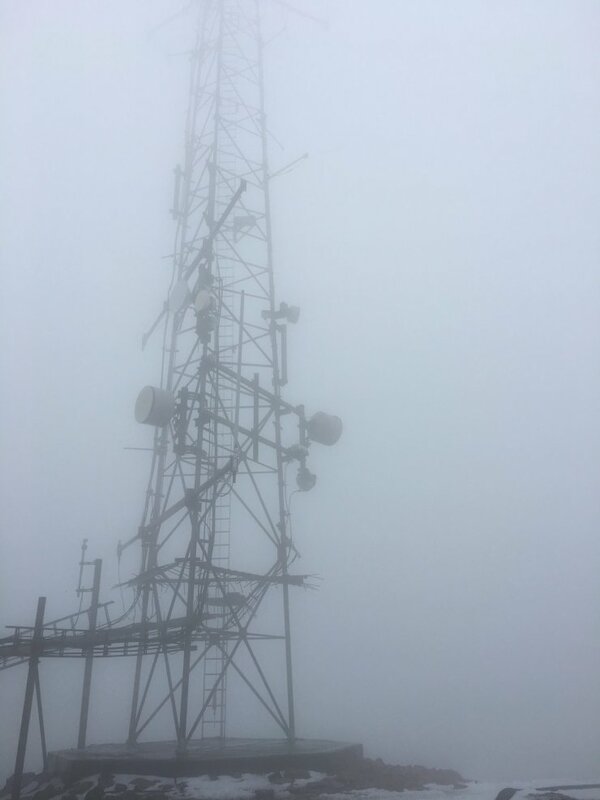 The freezing level is forecast to be above the tops but there may be a sub-zero inversion layer at times around 1100-1300 metres. 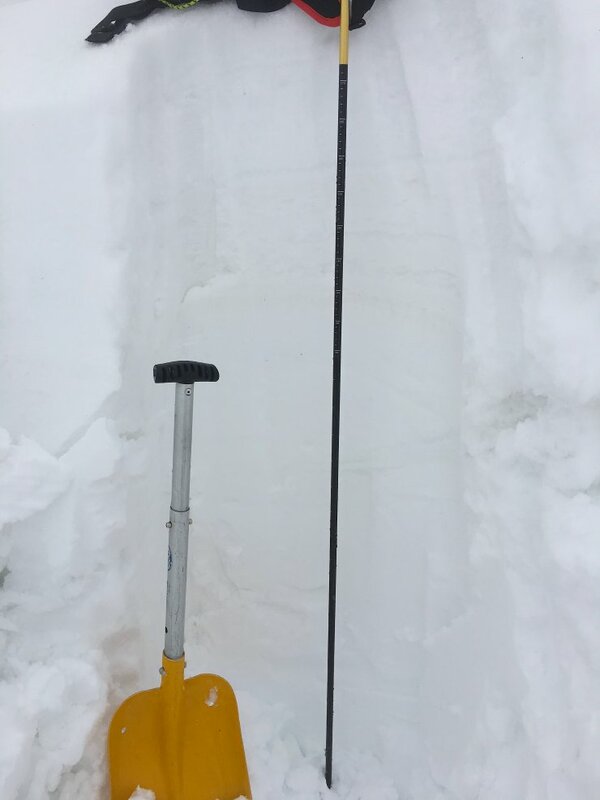 Some deep recent accumulations around – this one was 175cm deep. 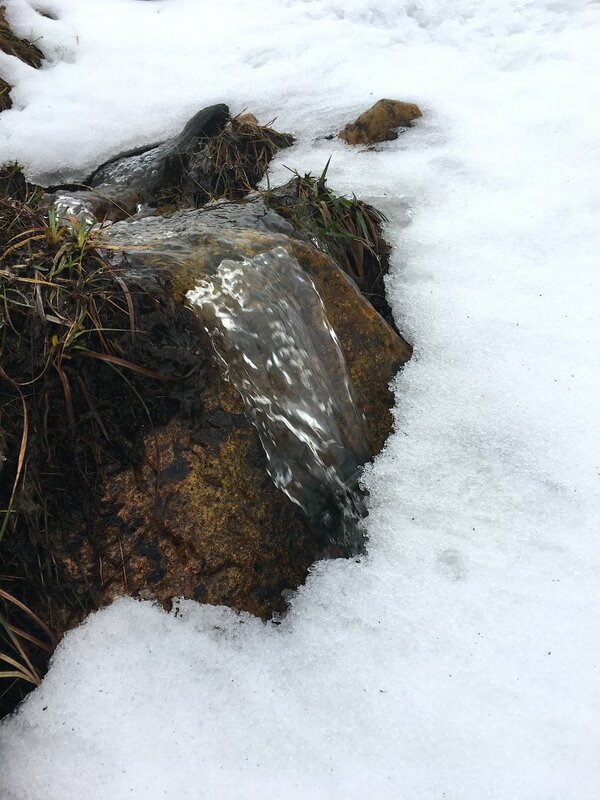 There’s a lot of free running water on the hillsides which is increasing the rate of thaw. Very poor visibility today: The cloud base lowered into the glen. Evidence of the strong winds that have occurred at times this winter. 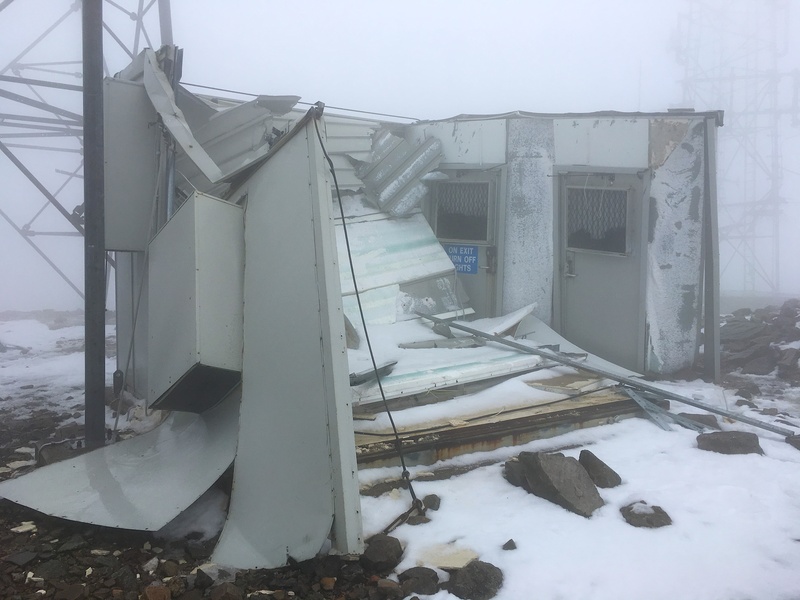 This cabin succumbed to the storm force Southerlies at some point this winter. 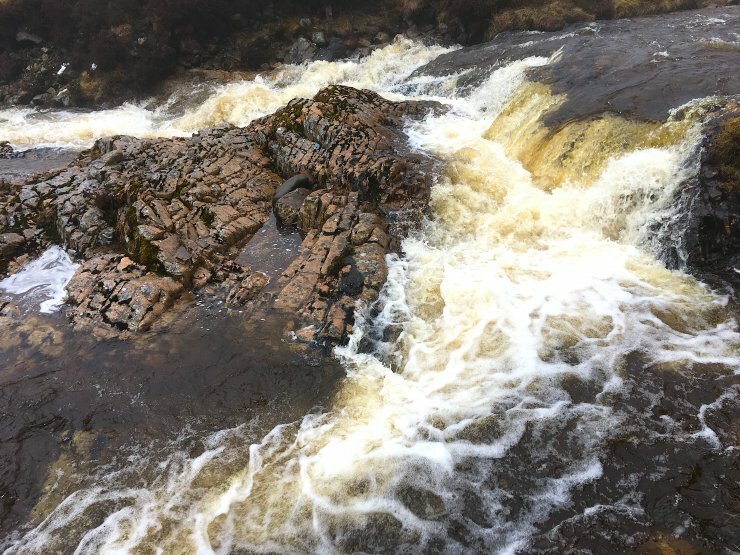 Rain and melt water has made its way into the burns which have risen rapidly this morning.